We take our tacos kind of seriously around here. Once I was shown that how I had eaten tortillas my entire life was not authentic – and not even good in comparison – things got even more serious. 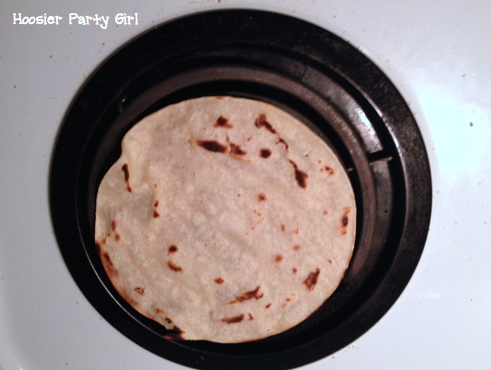 My Puerto Rican friend told me that once a child could see over the stove top, he or she was expected to turn his or her own tortillas – but you never, ever, ever microwave a tortilla. This knowledge has practically changed my life. Because I have an electric stove top, rather than gas, sometimes I will put foil down. I am generally prepping tacos for four or more people, so I will use two or more burners at a time. It is important to keep an eye on your tortillas and turn them several times, so they get a little crisp and brown, but not burnt. The only time I have bought a packet of taco seasoning in the last seven years was when I was traveling overseas and did not want to buy all the individual spices. When I mix in my own spices, I know there are no weird preservatives, and I have total control over the flavor and spicy-ness. 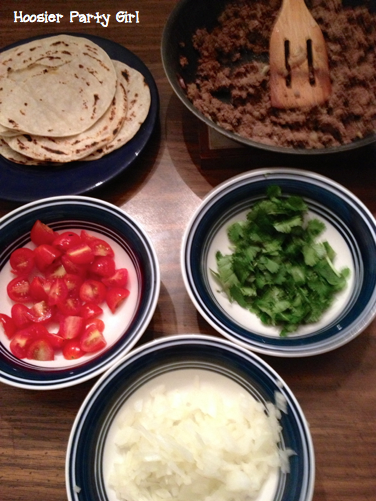 Taco meat always includes onion, garlic, cumin, cayenne, and paprika. At my house, it often includes cinnamon, oregano, chili powder, and/or cardamom. Spice, stir, simmer, taste, repeat until you find what works for your family. It will take more spice than you anticipate I bet. Authentic toppings are really simply chopped onions, cilantro, and a squeeze of lime (don’t forget the fresh lime! ); however, I like to add tomato so our toppings remind me of the Mexican flag. Happy Cinco de Mayo, Amigos! P.s. 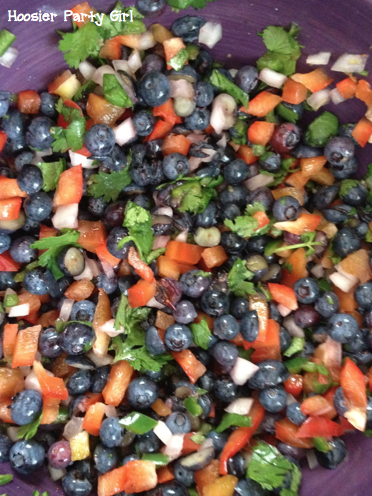 If you are not concerned with authentic, I do recommend this recipe for blueberry salsa, which I will be making again this Fourth of July.